HomeComic NotesRebooted Roy Of The Rovers Revealed! 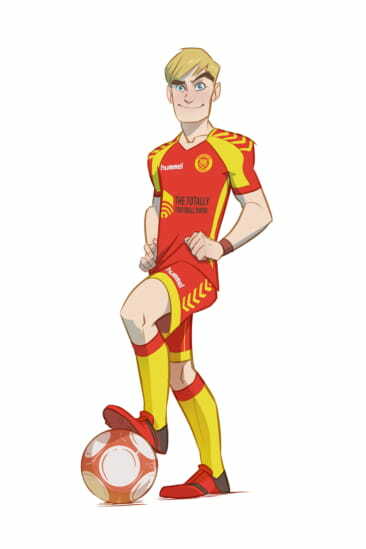 Rebellion Publishing is delighted to unveil the star of the highly anticipated Roy of the Rovers reboot, and hot new Melchester Rovers prospect: Roy Race. 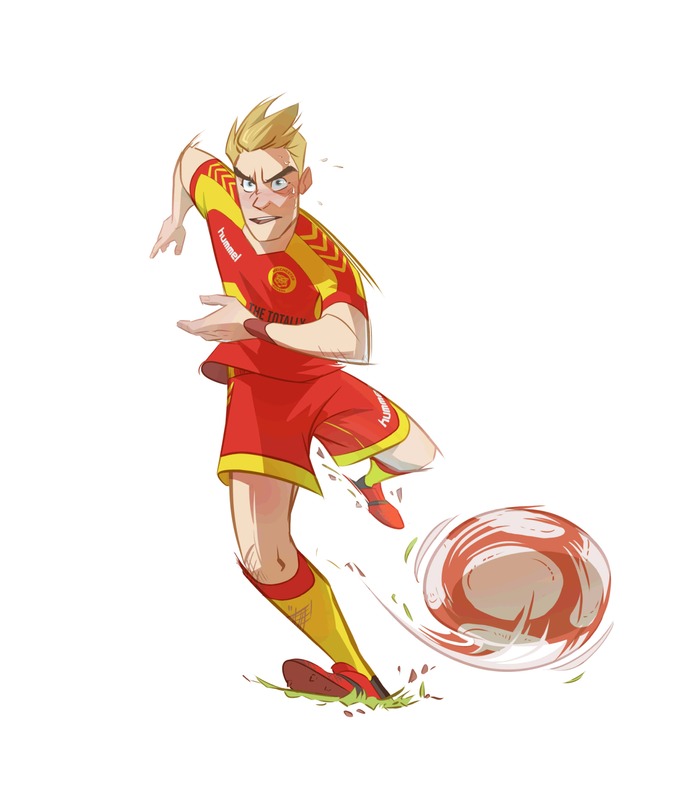 The new-look Roy of the Rovers will make its debut in a serialised strip in BBC Match of the Day magazine – published by Immediate Media – running weekly from 5 June through to 21 August. It’s a glorious return to the pages of Match of the Day magazine, which was home to Roy of the Rovers from 1997 to 2001. Roy’s been on the subs bench since then, but Rebellion is enormously excited to be launching a rebooted version of the world’s most famous football comic in 2018, first with this strip and then with more new material to follow in the Autumn. The artist for the Match of the Day magazine strips is talented newcomer Lisa Henke, with Rebellion’s Rob Power and Keith Richardson on writing duties. Character design of the new Roy Race was by acclaimed comics artist Ben Wilsher (2000 AD, Doctor Who magazine), who will also illutrate the graphic novels later in the year. The new Melchester Rovers kit, seen here for the first time, is supplied by hummel®, and sponsored by leading football podcast The Totally Football Show. Roy of the Rovers is being rebooted and relaunched in 2018, with a modernised Roy Race taking centre stage. 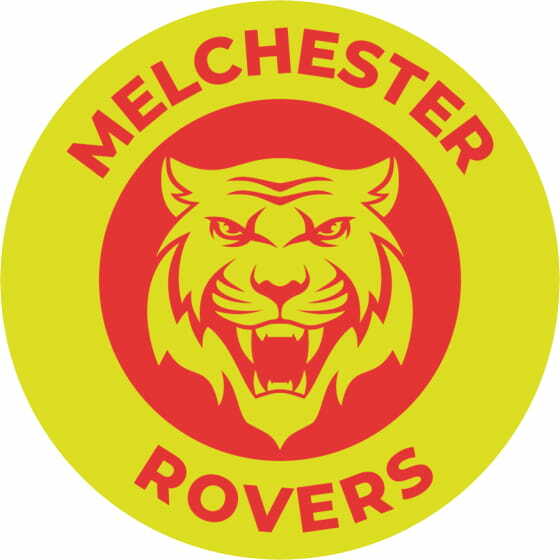 The ‘new’ Roy Race is 16 years old, and beginning his career in football with Melchester Rovers. An exclusive Roy of the Rovers comic strip is to appear in Match of the Day magazine, running from 5 June – 25 August 2018 – the first new Roy of the Rovers material to be published since 2001. The new Melchester Rovers kit is designed and supplied by hummel®, and sponsored by The Totally Football Show Podcast. The artist on the Match of the Day Magazine Roy of the Rovers strips is talented newcomer Lisa Henke, and they are written by Rebellion’s Rob Power and Keith Richardson. The character design on the Roy of the Rovers reboot is by Ben Wilsher (2000 AD, Doctor Who Magazine). Rebellion’s publishing plan also includes three 56 page hardback graphic novels per football season, launching in Autumn 2018, January 2019 and April 2019. Middle grade illustrated fiction titles are also to be released alongside the graphic novels, launching in October 2018 and following on in February 2019 and May 2019.